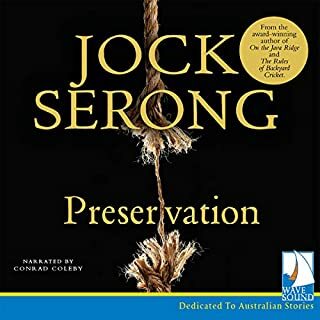 Preservation, based on the true story of the wreck of the Sydney Cove, sees master storyteller Jock Serong turn his talents to historical narrative. On a beach not far from the isolated settlement of Sydney in 1797, a fishing boat picks up three shipwreck survivors, distressed and terribly injured. They have walked hundreds of miles across a landscape whose features - and inhabitants - they have no way of comprehending. They have lost 14 companions along the way. Their accounts of the ordeal are evasive. I love love love Jock Serong's other books, but this was just too raw. The violence stayed with me days and nights. Obviously well written and spoken to have such an impact but so sad and the villain so sick. I hoped for redemption at the end but I couldn't finish. If people think this book is a hard read then they should listen to it. The combination of writer and reader is superb. Together they lay bare both familiar and surprising quirks of family, religion, sexual politics. 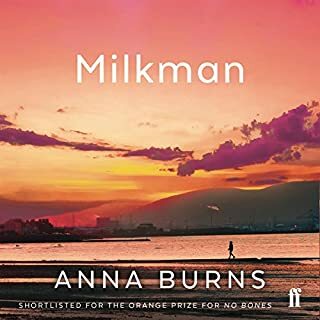 This book is a tribute to women and girls set in and spoken in the beautiful Irish. Outstanding.